Looking to brighten your smile? University Dental Family Dentistry and Orthodontics in San Diego specializes in teeth whitening, getting rid of unwanted stains and discolorations on your teeth to give you a bright and radiant smile. 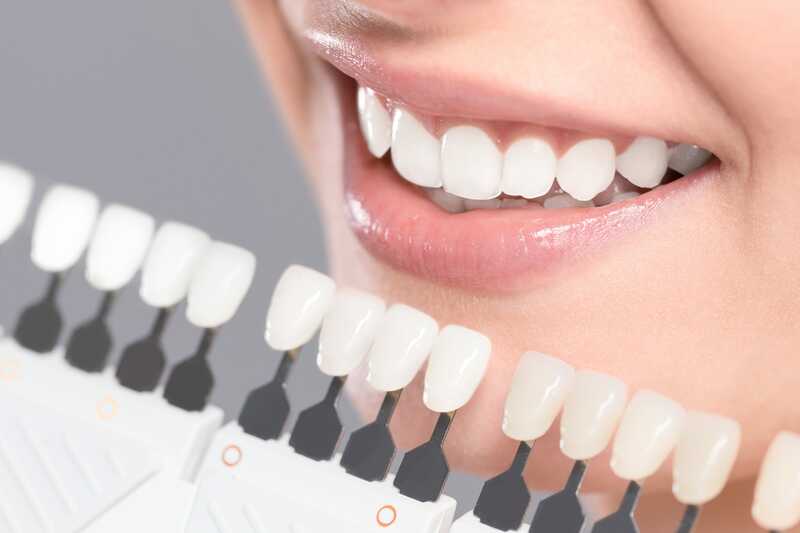 Teeth whitening, one of the most popular cosmetic dentistry procedures, is when a dentist lightens the shade of your teeth to get rid of any discoloration or stains. Teeth whitening procedures are usually used to return teeth to their original color, but oftentimes people opt for even whiter and brighter smiles to make their smile really stand out. What Causes Tooth Stains and Teeth Discolorations? Teeth whitening works to change the color of the outermost layer of the tooth, which is called the tooth enamel. The enamel contains small pores that work as a hiding spot for stains, with a few pesky culprits ranking as the most common reason for teeth stains. Drinking dark liquids can lead to permanent stains on the teeth, so it is important to brush or chew gum after ingesting coffee, tea or red wine. If you can, try to use a straw for these beverages to divert the liquid from contact with the enamel. For coffee, tea, and other hot beverages, use a glass or metal straw, as plastic is dangerous in hot beverages. As if the myriad of health dangers tobacco poses wasn’t enough, tobacco and smoking cigarettes also work to discolor your teeth. Preserving pretty teeth should be pretty low on the list of reasons to quit using tobacco, but nevertheless another strike against cigarettes. Like most oral issues, if you do not regularly brush or floss bad stuff will happen. In this case, poor oral hygiene can lead to discolored teeth and tooth stains. Make sure to brush and floss every day! While many tooth stains are on the outer enamel, some stains are inside the tooth. These stains, called intrinsic stains, are often the result of too much fluoride at a young age. While teeth whitening is most effective for enamel stains, there are treatments for extrinsic stains. How Long Do the Effects of Teeth Whitening Last? While teeth whitening is an effective method to get a beautiful smile, it is not a permanent treatment unless you make life changes. For example, if coffee caused stains on your teeth and you continue to have the same coffee drinking habits after getting your teeth whitened, the stains will return over time. In some cases, the stains can return in as little as a month. That is why it is essential to be mindful of what caused the stains in the first place when you get your teeth whitened, and make behavioral adjustments. University Dental offers expert teeth whitening at our San Diego office. If you have teeth stains or tooth discoloration, or teeth whitening team can help. If you are interested in scheduling a free consultation, give us a call at (619) 582-4224.